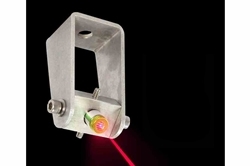 To boost safety during operations, businesses may deploy powerful lasers for alignment. These units are compact and designed to streamline accuracy and prevent the excess removal of wood. The main types of lasers used during sawmill operations are green and red. Optical power may range between 5 mW to 50 mW. Furthermore, low voltage is preferred for additional safety when handling heavy machinery. In order to create a highly accurate line, cutting-edge optics are applied to the laser light. For instance, cylindrical-shaped optics coupled with a fan-like lens can be utilized to generate an intense beam that is faded at the tips. From a safety perspective, sawmill lasers prevent over handling of parts during cutting. Operators can move components through the saw with confidence in movement from one end of the machine to the other. To promote visibility, the intensity of the laser should be high, so that the beam can be seen during the day and over existing lamps inside the building. Like forklift safety lights, mounting for visual alignment lasers should be prioritized in order to maximize space around the work area. A bar-clamp mount is a common component used to secure lasers on rails and frames of cutting machines. For multiple laser arrays, this setup is also applicable. Padding around the mounts may be utilized to reduce the effects of vibration, which could decrease accuracy of beam placement (if unaddressed). Another mounting option is the use of a back plate to secure the laser on flat surfaces. This option allows individuals to setup the unit close to the target.